If you're looking for a great Rose Hall Resort in Jamaica, you'll definitely find one. This area of the world is well-known for its great resorts both in terms of value for money and quality. Searching through a ton of resorts can be mind-numbing and tends to take a long time. So what we've done is search through the all of the resorts in the area, picked out the best ones, and listed them here. We've picked out the 5 really excellent resorts for you to check out (plus one bonus option). Rose Hall really is a gem that not everyone knows about and staying at one of these top resorts would really give you a fantastic holiday. They are beautiful and relaxing. Rose Hall, Jamaica, is very close to Montego Bay (another mecca of great resorts) and on the north-west side of the island. 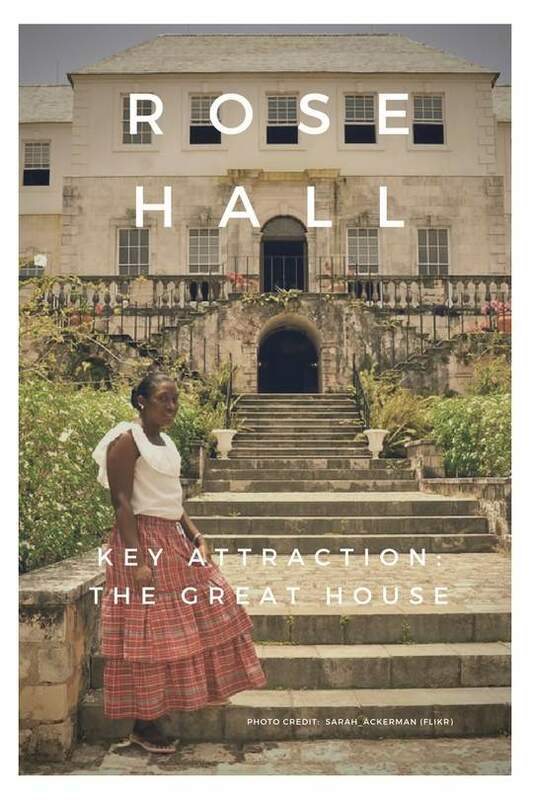 It is named after it's great attraction, Rose Hall, which is a Georgian mansion and the most famous house in all of Jamaica (according to Wikipedia). Make the most of your Rose Hall vacation. See the TripAdvisor Rose Hall Map to search resorts by price or rating. Also find great attractions and things to do in Rose Hall. Most resorts in Rose Hall will be beachfront, have a great pool and many in this area (meaning Jamaica) are all inclusive. Jamaica also has a number of resorts focused on couples and adults only as well as resorts really geared towards the family. So keep this in mind when looking through the resorts below. Awesome pool at the Hilton! The Hilton in Rose Hall is all inclusive and very popular. It's on a private beach, has a golf course, and a full-service spa. For the kids and young at heart there's a lazy river and 3 pools. Children under 12 are free and there's a kids club included in your stay. Reviewers give this resort really great scores and families especially love it. 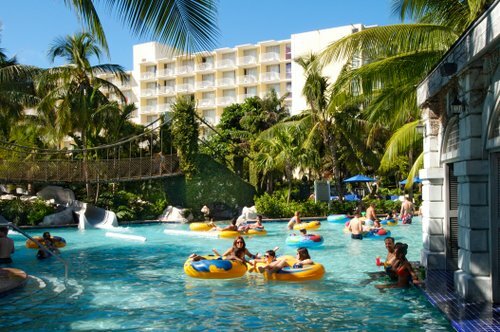 The water park is reported to be very fun, food (and buffet) is good quality, service is quite good and past guests quite like the entertainment. The beach which is a bit on the small side. Click here for more information on the Hilton Rose Hall Resort and Spa. Best Rose Hall Resort Jamaica for Couples! The Iberostar Rose Hall is another of the resorts in Rose Hall. It's all inclusive, adults only and features amazing water views from every room. Impressive 24-hour amenities, great shows, a good selection of quality drinks and 'a la carte' dining. Personal butler service, champagne at check-in, and direct access to a private beach make this a great option. Reviews are also very, very good for this resort. There are many returning guests and couples especially like this resort. The food is reported to be excellent, it's very high class, and they have aromatherapy piped throughout (and that's the first we've heard of this being done anywhere). Iberostar has 2 more options in this area and suitable for adults or families. The Iberostar Rose Hall Suites are spacious, 5 star and all inclusive also. They offer a kids club as well as adult activities such as spa treatments and sport options. Reviews for the suites are excellent. 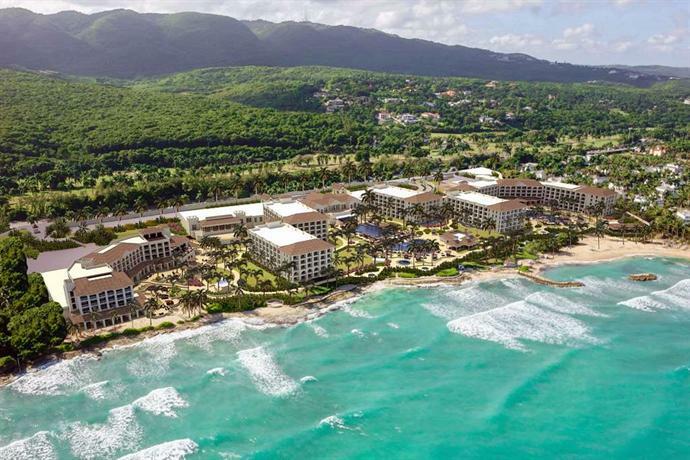 The final Iberostar option is the Rose Hall Beach Hotel. It is open to all ages, 5 star, all inclusive and has the amenities offered at both of the other resorts. Reviews are just slightly lower than the Suites and Grand resorts but still quite good overall for this Rose Hall resort Jamaica. This is a great resort for all ages with great views of the water, lots of activities and great food. Best of all? It's all inclusive. This means unlimited dining and drinking at all 16 (yes, 16) restaurants and bars, watersports, dance lessons, games, nightly entertainment and shows, Kidz Club and more. 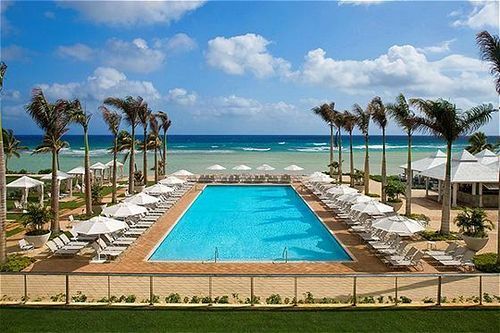 There are two swimming pools and two heated whirlpools as well as beach butler service (always handy). This Rose Hall resort features 387 guestrooms and suites with the really cool option of a swim-up room as well as butler suites. Reviews here are excellent. Past guests like the bay the resort is set on (it's easy to swim in), entertainment, and service is often noted as being fantastic with staff going above and beyond. More on Hyatt Ziva Rose Hall. A great spot for romance! Hyatt's Zilara Resort is the other half of the Ziva Resort. This side is geared towards adults. It is an excellent resort - modern, well-done and gets fantastic reviews from past guests. Aside of the great views, calm beach and delicious food here, there are adult-focused activities like couples massages, tropical cocktails, a secluded adult-only pool and nightly entertainment. It is also all inclusive. There are 234 guestrooms and suites with some being swim-up rooms as well as butler suites. This is also a great spot for a wedding (and honeymoon too). Golf, a great spa and plenty of daytrip ideas all make this an excellent pick. Reviews from past guests note that the entertainment is awesome, the entire property and staff are outstanding, wine selection is fabulous, and some call it their favorite hotel ever! Bonus Option: Have you considered a villa? Another great option in Rose Hall are the Royal Villas. They consist of 33 condos on a private beach. There's a pool, 12 restaurants, a full-service spa and golf nearby. This is not all inclusive but they do have breakfast available. Reviews here are excellent. The spa has been mentioned more than once as outstanding and the hospitality offered is also top notch. More information on the Royal Villas at Half Moon. 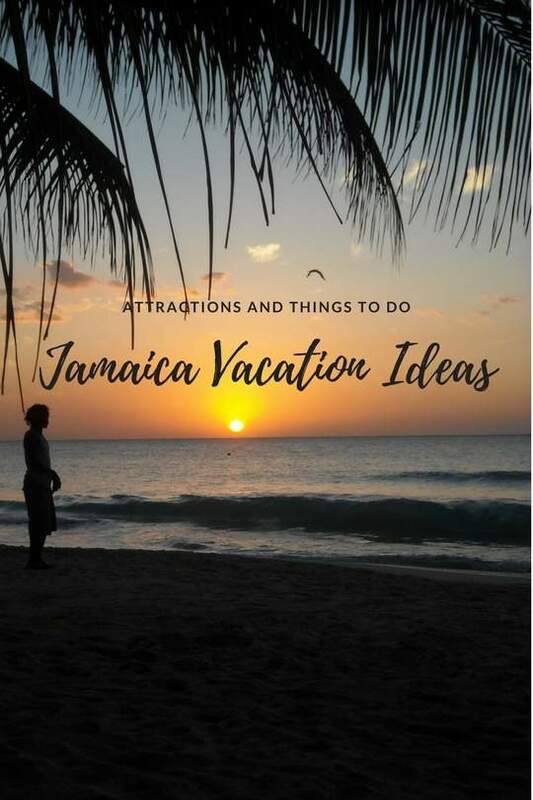 If the idea of staying in a villa has piqued your curiosity, check out what's on offer in Jamaica here. 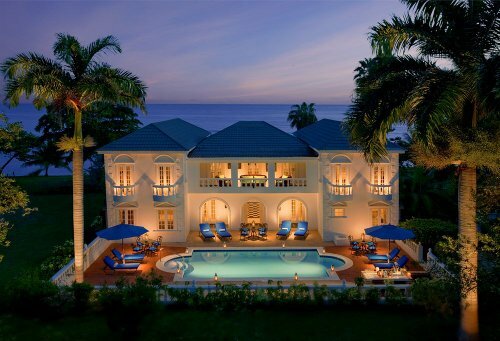 See the TripAdvisor Jamaica Map to search villas and vacation rentals. 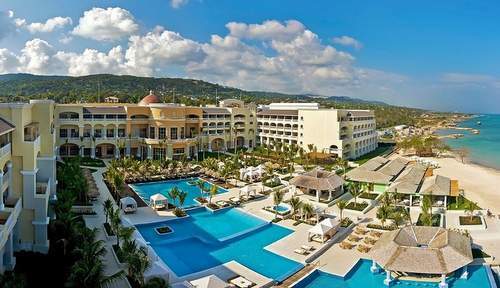 or our general Jamaica Luxury Resorts page. See Jamaica for families for attractions and things to do.